In the recent decision of Tomolugen Holdings Ltd and Anor vs Silica Investors Ltd and other appeals  SGCA 57. the Singapore Court of Appeal has had the opportunity to consider, and has in its decision confirmed that the standard of review to be applied when considering an application for a stay under section 6 of the International Arbitration Act (Cap 143A), is a “prima facie standard of review”. On the basis of this arbitration clause, the 2nd Defendant filed an application for a stay of proceedings pursuant to section 6(1) of the International Arbitration Act and/or under the inherent jurisdiction of the court. The 1st Defendant, 3rd Defendant, 5th Defendant, and 8th Defendant also filed applications to stay the proceedings under the inherent jurisdiction of the court. There were three applications in total, and these were heard at first instance by the Assistant Registrar in the High Court who dismissed the applications. Appeals were made to the High Court which also dismissed the applications, and thereafter the matter went before the Court of Appeal. In analyzing the suite of issues canvassed during the appeals, the Court of Appeal considered, as a threshold question, the standard of review to be applied in a stay application under the International Arbitration Act. The arbitration agreement is not null and void, inoperative or incapable of being performed” then the court should grant a stay in favor of arbitration. The Court of Appeal also noted that upon this prima facie standard having been met, the court will only refuse a stay “when it is clear on the evidence placed before it that one or more of the above three requirements have not been satisfied”. The practical implication of the Court of Appeal’s remarks on this issue appear to be that not only should parties think twice before attempting to commence proceedings in court in the face of a clear and binding arbitration agreement between them; but that there should be greater care taken prior to entry into contractual arrangements. Parties should not be too quick to adopt boilerplate clauses or model clauses offered by arbitration and instead should now consider early on (at the contracting stage) the potential limitations which are inherent in the arbitration process, and whether they wish to specially tailor their arbitration clauses to account for such potential limitations or whether litigation is in the prevailing circumstances preferred. Mary-Anne read law at the Singapore Management University. 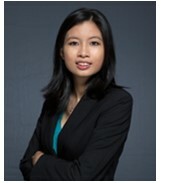 She joined the firm as a practice trainee in December 2012 and is currently a Legal Associate with the firm. Her main practice areas are commercial litigation, arbitration and legal advisory. She has assisted in matters involving transnational joint venture formations, corporate disputes, and cross border jurisdictional disputes.